Fitness trackers are great and all, but what do those numbers *actually* mean? Nowadays, more and more wrists are adorned by some sort of tech-y watch. From Fitbits and Apple Watches of every generation to running-specific timepieces, all sorts of wearables quantify just about every move we make. Counting steps, calories burned, stairs climbed, heart rate and more, these devices are actually a great way to help get in shape. 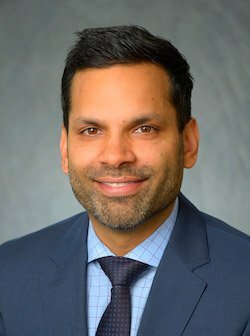 No one knows this more than Dr. Neel Chokshi, medical director of the Sports Cardiology and Fitness Program at the University of Pennsylvania Perelman School of Medicine, who published research in June 2018 regarding the benefits of "wearables" like fitness trackers in heart disease patients. PhillyVoice talked to Chokshi about wearables and fitness trackers, the data they provide, their accuracy and how these devices might promote fitness. This information is particularly noteworthy with the news that now two large health insurance providers are offering wellness programs complete with free Apple Watches as a way to get members moving. First thing’s first, while wearables are great, just owning one or wearing one isn’t enough to make a person physically active. That said, Chokshi believes that they have promise when paired with an “intervention,” or behavioral change, to get people to increase their fitness levels. 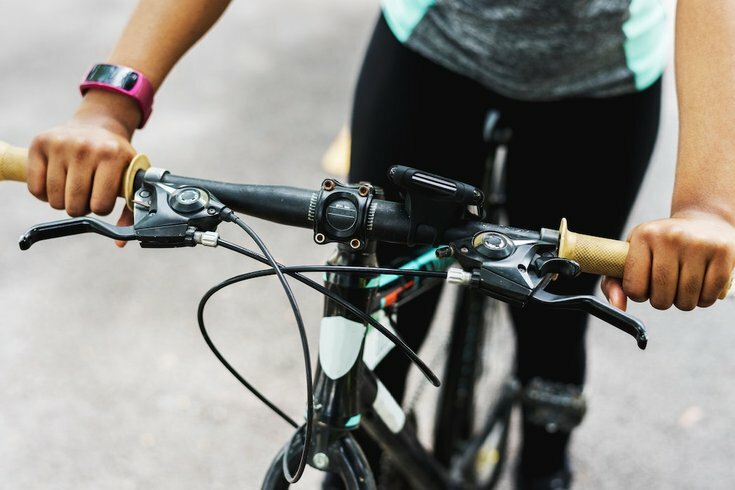 Chokshi believes wearables offered by health insurers can serve as a promising intervention, or incentive, for people who may need to increase their activity because it provides incentive. This is actually something referred to as “loss aversion,” in which you give someone something and threaten to take it away, which Chokshi notes has been proven to be effective in keeping people active. Let’s get into the nitty gritty of the numbers that wearables provide and encourage people to achieve. The most familiar number when it comes to fitness trackers is the daily 10,000-step count, which Chokshi says is rather arbitrary. Apparently, the number originated in Japan in the 1960s to keep people moving when baseball — a sport spectators spend hours sitting to watch — became popular in the country. They picked it because it was a nice, round number, Chokshi said. The American Heart Association has also jumped on promoting this number because it’s easy to market. What Chokshi believes to be more important than daily steps is active minutes — which newer tracker models can tell you — per day and on a weekly basis. Especially because 10,000 steps is a lot, even for the urbanites of Philly, and even New York. Not to mention that there isn’t much science behind the health effects of stepping, per se. Moderate intensity active minutes, however, have been proven to be more effective in promoting a healthy level of activity. Generally, Chokshi recommends 150 active minutes per week — a goal he deems to be more sophisticated than steps — or five 30-minute walks per week. That said, depending on a person’s individual goals, age or current status, Chokshi suggests aiming for 6,000 to 8,000 steps per day — which typically equals about 30 active minutes per day. As wearables' technology advances, they’re able to provide more information. The most basic models provide a step count, while others provide step count, heart rate and intensity of every movement and that, Chokshi says, is what we should be specifically interested in — the intensity of activity. Chokshi notes that you don’t even need a wearable to quantify your movement efforts — he encourages the use of apps that can do similar tracking, as well. Calorie counting is probably the next biggest number that people follow with their wearables, though headlines lead users to believe that these trackers may be overstating calories burned. But here’s the insider scoop, according to Chokshi: First of all, the amount of calories you burn in a day or in a workout are estimated by a formula based on the height and weight you enter when setting up your watch. Some also use your heart rate to estimate how active you are, which would help with their calories burned estimation. Chokshi and his colleagues at Penn have proven that wearables are more accurate at identifying your heart rate at a lower heart rate (like when you’re sitting or resting), likely because it takes motion to increase one's heart rate, making the wrist sensor less secure and the pulse data less accurate. This theory could hold true for calorie counts as well, Chokshi said. Wearing your tracker daily over time might be the key in extrapolating accurate data. Once you see your caloric burn from day to day — by comparing the calories burned from a run one day, a walk another and then no movement on the third — you could probably get a good idea — and be able to fact check, in a way — your caloric burn. Newer wearable models now are able to analyze your heart rate during workouts and categorize time spent in estimated zones such as fat burn, peak and cardio. Chokshi notes these are only estimations, adding the only accurate way to measure peak heart rate is with a doctor-administered stress test – on a treadmill and perhaps with a breathing tube to monitor your breathing. There is, however, a fairly reliable formula people can use to help determine their peak heart rate, which is 220 minus your age. The intelligence inside wearables likely uses a similar formula to determine their estimation of your peak heart rate and the amount of time you spent there. This number multiplied by 50 to 70 percent is considered your heart rate window moderate intensity exercise, Chokshi explains. As you could assume, Chokshi believes that wearables have the potential to reduce heart disease and other health issues caused by sedentary behavior as a tool. But what eludes he and other scientists in the field for now is the proper application to heighten efficacy.